I have earned a reputation for being a creative and effective dealmaker in even the most vehemently contested lawsuits. The key is to focus on the business objective the client wants to achieve in resolving the dispute. At the beginning of each case, I help my clients decide whether the best option is to pick a fight that leads to litigation and ultimately a trial, or to find a business solution that achieves their objectives without ever setting foot in the courtroom. Bill Chaney has successfully prosecuted and defended numerous complex commercial disputes with millions of dollars at stake, multiple parties and parallel litigation across several courts. 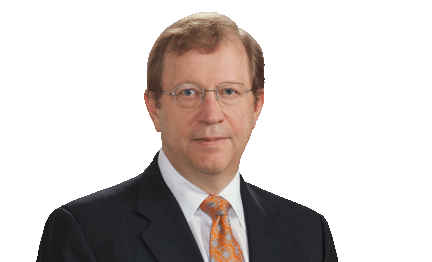 He has resolved cases involving an incredibly diverse range of challenging issues, including fraudulent investments, genetically-modified crops, ATM and electronic payment processing, oil and gas mineral rights, a variety of aviation issues plus much more. Bill has also represented debtors, creditors and trustees in bankruptcy cases and adversary proceedings, and helped companies resolve creditor disputes to avoid filing bankruptcy. More recently, Bill has played a key role in pioneering nationwide litigation involving genetically-modified crops. He served as a court-appointed member of the federal plaintiffs’ executive committee that helped farmers, mills and exporters recover substantial financial losses due to contamination of U.S. rice supplies with a genetically-modified variety developed by an international chemical and agricultural company. Bill was also part of the legal team that tried four bellwether trials, three of which resulted in successful verdicts. He is currently serving in a similar leadership role in the ongoing Syngenta corn class action, focused on helping farmers and others hold GMO seed developers accountable for introducing unapproved genetically-modified seeds to U.S. corn supplies. Bill also enjoys working with high-net-worth entrepreneurs and families as a lifelong advisor, dealmaker and problem-solver. He has helped clients with every opportunity and issue imaginable, including establishing new ventures, entering general business transactions, making investments and resolving disputes when deals go south. If their needs fall outside his practice focus, such as estate planning, family law disputes or unique transactions, Bill introduces clients to other lawyers in the firm with the right skills and experience to take lead and achieve the best result possible. Represented U.S. corn farmers, grain handling facilities and ethanol production facilities bringing claims against Syngenta AG and its subsidiaries arising out of Syngenta’s sale of two genetically modified corn varieties unapproved in major U.S. corn export markets; obtained a $217,700,000 verdict for more than 7,000 Kansas corn growers; secured a $1.51 billion class settlement (pending final approval) to resolve pending cases against Syngenta by farmers, grain handling facilities and ethanol plants related to the launch of Agrisure Viptera and Agrisure Duracade. Represented trustee in claims in accounting and related disputes brought by purported, but disputed, trust beneficiary. Represented an independent ATM and credit card processing company in commercial litigation and disputes with credit card networks and member institutions. Represented investors in securities fraud and breach of fiduciary duty claims against promoters of oil and gas drilling ventures. Represented owner of aircraft engines in dispute with lessee upon foreign government seizure of the engines.